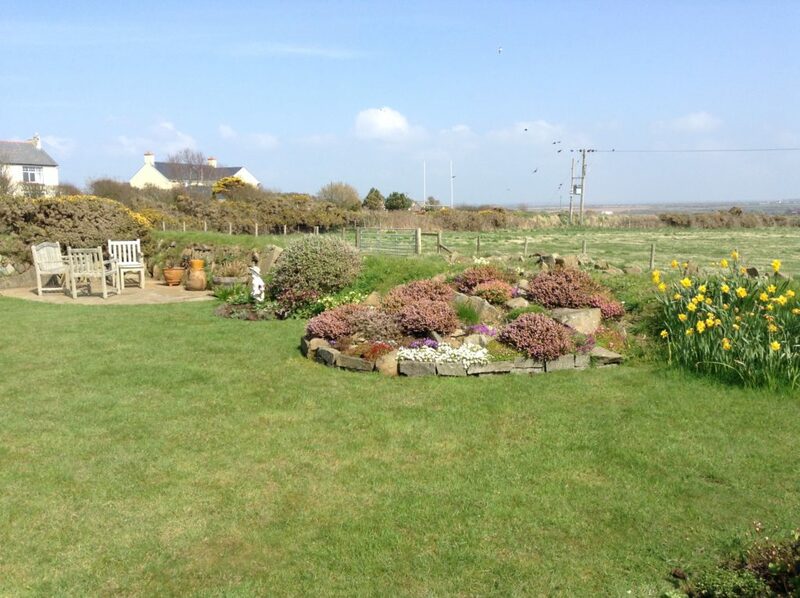 When we arrived at Bryn Haul 5 years ago there was no garden, just some not-very-good grass. We extended the Pembrokeshire bank on the north side to make a coffee/gin corner and paved it. 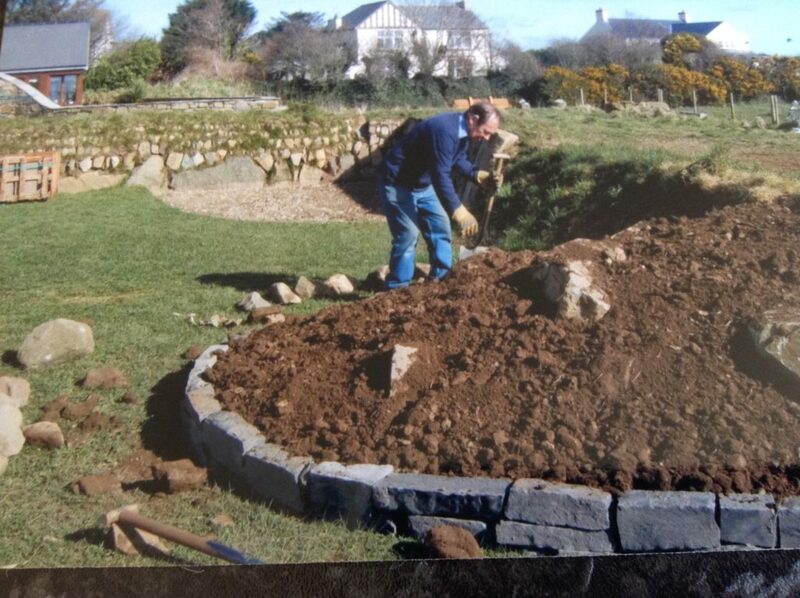 We wanted to get some height into the garden without obstructing the view and therefore built and planted a rockery. We also planted a hawthorn tree to attract the birds and a weeping pear tree to hide the fence. We dug and designed the bed on the south side, whilst keeping the view from the kitchen, tended the lawn and slowly introduced various plants, which were either given, pinched or occasionally bought. 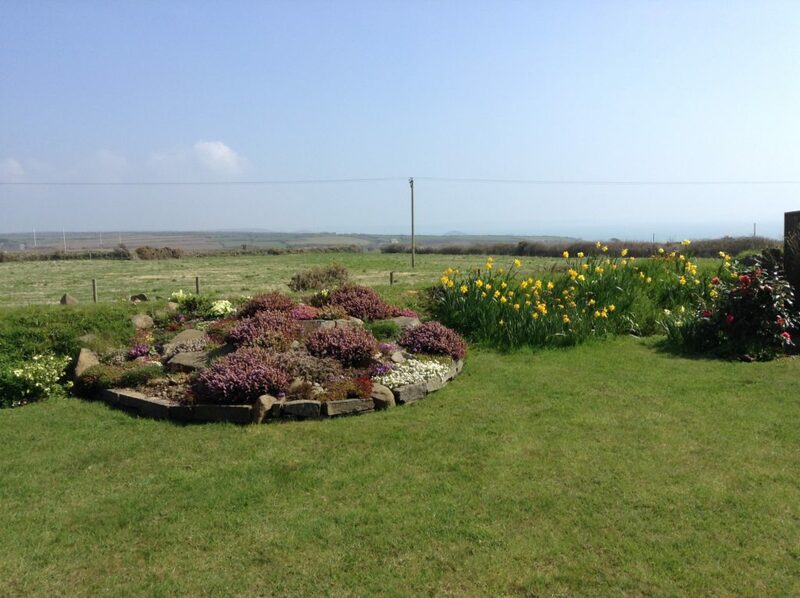 Whilst the garden now contains some colour and interest, the view is still more important.